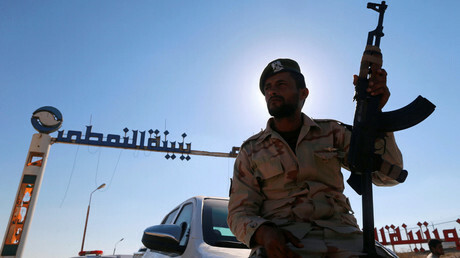 Libya’s oil production problems extend far beyond whether the forces of Tripoli or Benghazi secure ultimate control over the country: Clan-based militias are running their own smuggling operations, and their mafia reach is said to extend as far as the Coast Guard - and even into Europe. This smuggled oil is making its way into Europe, and Libya authorities say it has cost the state $360 million so far, at a time when the country is producing only 715,000 barrels per day, down from its Ghaddafi heydays of 1.6 million bpd. The post-Ghaddafi chaos has created some great business opportunities in both human trafficking and oil smuggling. According to a stellar and rare (these days) piece of investigative reporting by Italian journalist Frecesca Mannocchi, the western coastal strip of Libya running from Zawya to Sabratha is a smuggler’s paradise, with the local police and coast guard complicit in lucrative oil smuggling activities. Police told Mannocchi that oil is smuggled by ship from Sabratha to Malta and Sicily, en route to the Italian mainland. The clans and their militias that control this strip of smuggling are said by locals to be the Hneesh and Dabbashi, who are allies when business is good, but can quickly become enemies in armed conflict. Where these clans and their smuggling enter the bigger political chaos of Libya is through the Petroleum Facilities Guard (PFG), which was - as its name might suggest - established to protect oil facilities. Where its gets even bigger is that these clans, locals claim, are working under agreements with the Sicilian Mafia. In early January, the PFG withdrew from the western Zawiya refinery after the Chairman of Libya’s National Oil Company (NOC), Mustafa Sanalla, accused the group Nasr brigade of using the refinery to run smuggling operations. That the PFG removed itself from this part of the equation demonstrates the power that General Haftar and the Libyan National Army (LNA) are gaining rather quickly. 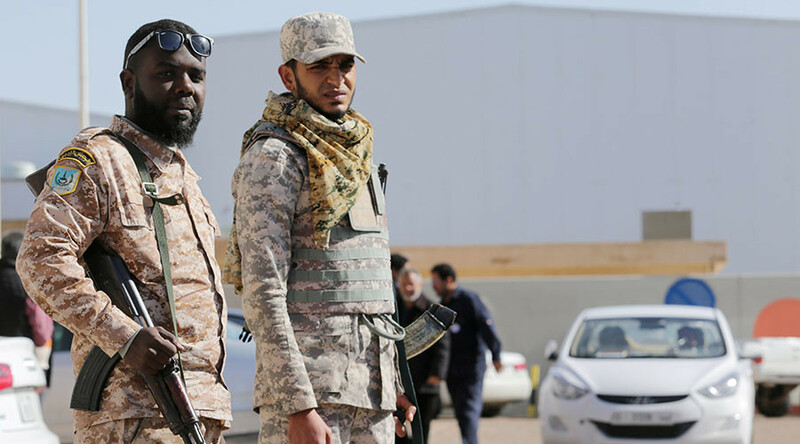 Controlling Libya means controlling its oil wealth—and controlling its oil wealth means controlling the clan-style mafia from which the PFG is deriving part of its power. It’s easier said than done—and there are fears that General Haftar, as he reins in the chaos, could turn into another Ghaddafi. There will be a price to pay for ‘stability’. But we’re not there yet - and we won’t be until Libya can return to its pre-conflict production, which it cannot do until the same people who control the oilfields control the oil revenues. This is where it gets tricky. While the LNA is in control of the oilfields right now and has wrested the ports that were being hijacked by the PFG, the oil money goes to the Central Bank of Libya, which is not on the same ‘side’ as the LNA. 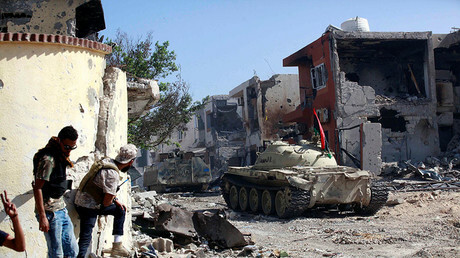 Instead, the Central Bank is supported by the failed - or failing - Government of National Accord (GNA) in Tripoli, which has been backed by the UN. As the PFG is a rival to the LNA, so too could be a new group that the GNA is toying with in the form of a Presidential Guard. The oil won’t flow if the LNA thinks the money is being used to prop up an armed group that will fight against it. But this situation is extremely dynamic, and this past week alone has seen some major developments. Tripoli is as intense as it gets right now, and the game is to see who can create the most fearful “guards” corps to ostensibly ‘protect’ the country’s assets from corruption. Read more on Oilprice.com: Is $55 Oil Really Enough For Qatar? 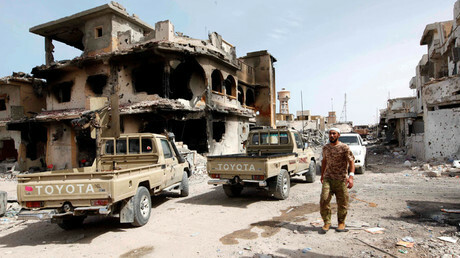 On Thursday, forces aligned with Khalifa Gwell announced the creation of yet another guard - the Libyan National Guard (LNG), to “protect” institutions. Though they say they are not aligned with any tribe or political party, these are militia from Misrata, and they are already engaging in armed clashes with militias that support the GNA. In effect, they are trying to build a new army. This, in turn, seems to be pushing the GNA towards its rival, General Haftar. Indeed, the GNA just announced that it and the Presidential Council - unable to assert control - would make some key changes to include Haftar among their ranks. This is a game of alliances that shift faster than the news can keep up. As soon as one alliance is solidified, another militia ‘guard’ pops up to force a change. It’s definitely not the right time to try to get into Libyan oil. Nor is there any chance that Libyan oil is going to upset the global balance of supply and demand and scupper the OPEC/non-OPEC deal on production cuts. It is against this backdrop that oil smuggling thrives, and will continue to thrive, and supermajor oil companies will have no choice but to pull up stakes or play the game, which means indirectly enabling smuggling activities. In these areas, it’s either ‘hire’ the clans for ‘protection’, or suffer the consequences, including kidnapping workers.